Multiple haemangiomas in neonates with a “beard” distribution must raise the concern of airway involvement. Indurated large angioma = immediate evaluation of platelets and coagulation tests. Mother's varicella around delivery = intravenous acyclovir for the neonate. 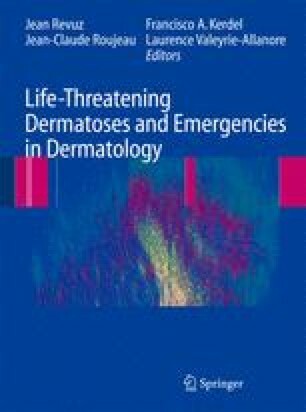 Keratinization disorders need urgent investigation, not only for evaluation of prognosis but also for future genetic counselling.